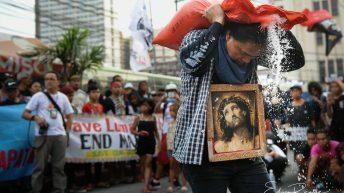 Some 21.9 million Filipinos, notes the National Anti-Poverty Commission’s Reforming Philippine Anti-Poverty Policy (Manila: NAPC Secretariat, 2017), are officially considered poor. 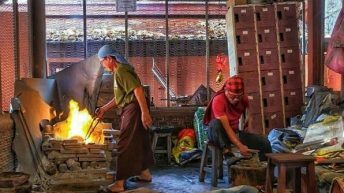 Those “dimensions” include low incomes, job insecurity, poor nutrition and health, limited access to education and medical care, substandard housing. To these uncertainties may be added, in the time of the “Tokhang,” anti-illegal drugs, and anti-“istambay” campaigns and TRAIN (Tax Reform for Acceleration and Inclusion Act), the threat of losing a family breadwinner or a son and daughter, and record-breaking inflation. This means that poverty and uncertainty are the conditions of life for some 70 to 80 million Filipinos. The need for change is therefore publicly accepted as urgent even by those opposed to it. 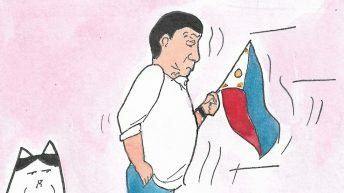 The Duterte regime came to power in 2016 on the promise that “change is coming.” Even Ferdinand Marcos vowed to “make this nation great again” in 1965, and to “save the Republic and reform society” when he declared martial law in 1972. It should be clear enough why: no one can deny the reality of the poverty that afflicts millions and its impact on Philippine politics, culture and society, and hence the need to address it. 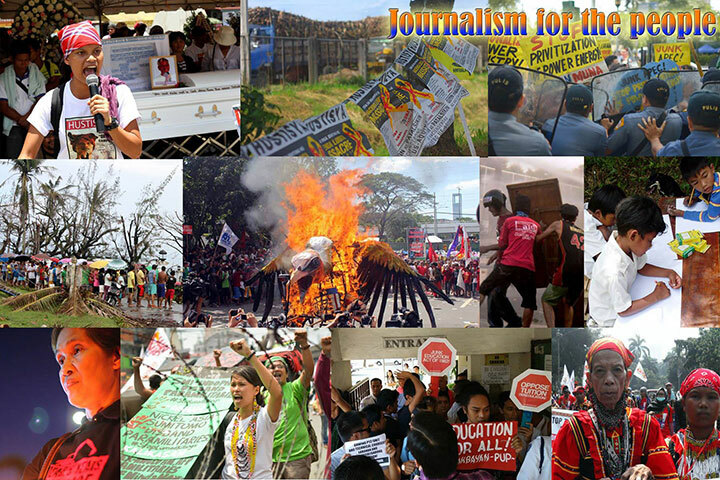 In these circumstances, the central task of journalism is to provide the information and analysis crucial to every Filipino’s understanding of the dimensions and roots of, and the possible solutions to, poverty and its attendant consequences — political instability, social unrest, State violence and repression, rebellions — as the necessary condition to achieving the changes needed. But as an institution that can achieve that task only under conditions of freedom for itself and for all, the press is also called upon to resist dictatorship and tyranny. With very rare exceptions, however, much of current journalism is doing neither. There is no denying the verbal, physical, and supposedly legal attacks and pressures on press freedom, among them the ban on some reporters’ coverage of Malacañang; the cancellation of online news site Rappler’s Securities and Exchange Commission registration; the threat to withhold network franchises; the insults and threats directed at critical journalists not only by regime-paid trolls and its media mercenaries, but even by President Rodrigo Duterte himself; and the continuing killing of journalists whose deaths have all been falsely described as due to their corruption. But despite these assaults on individual practitioners, media organizations, and even the dead, and consequently the imperative to be better at describing and explaining what is happening and why, there is little sense of urgency evident in the reporting of broadcasting and print or the online news sites. What passes for journalism today still mostly consists of what is known as “he-said-she-said” reporting, in which the claims and statements, no matter how ridiculous, of this side and that in any issue, as well as the lies of those whose agenda is to mislead media audiences with false, misleading, and distorted information in order to retard change and frustrate the necessary process of democratizing Philippine society, are religiously quoted without analysis, critical discernment, or context. This kind of reporting isn’t journalism but stenography. Despite the urgency of understanding the implications of the Duterte regime drives for federalism and a new constitution, for example, there is little attempt, if at all, at exploring their implications on governance and their possible impact on the people’s lives and future. Among the powers of the media, as the communication scholar Denis McQuail points out, is their capacity to endow status and legitimacy. By quoting them without analysis or discernment even when they don’t have anything of value to contribute to public understanding of events and issues, the media also transform liars, PR hacks, clueless bureaucrats, and scoundrels into “political analysts,” “experts” and statesmen. Their views no matter how uninformed are as a consequence regarded as meaningful and based on sound information by the uncritical media audience. The result is the debasement of public discourse. A case in point is the reporting on the Marawi crisis. 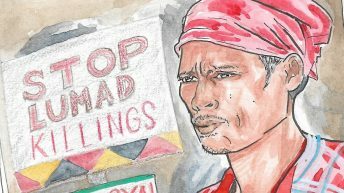 Only the online news site MindaNews provided any context to it, although one of its staff members did admit that one of the flaws of their reporting was their failure to provide a history of the city. The reporting by the major TV networks was overwhelmingly on the fighting, a study by the Center for Media Freedom and Responsibility found. This went on a daily basis and eventually became for many viewers and readers no longer of interest. And yet when asked why he and his media organization were focused on the fighting to the neglect of other issues, one of the reporters of a major TV network said that that was what the TV audience wanted. The claim that they’re merely giving the public what it wants is a long standing excuse both here as in the United States, with which country the Philippines shares the same media model as commercial enterprises under private ownership. The reality is that what the public wants is what the media have made it to want and which they reinforce from day to day. The media assume that the public prefers trivia and entertainment even in the news and that it is not interested in such stories as the discrimination residents of Marawi who had fled to other cities in Mindanao suffered when they were either refused as tenants in housing and apartment units, or charged exorbitant rental fees. 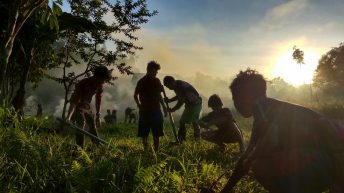 Of equal interest should have been why Marawi was bombed into rubble, and why returning residents are being asked to produce titles to the lands they have lived on for generations. Journalists are tasked to ask multiple sources the right questions both to get the facts as well as to provide their media audiences the meaning of events. Freedom of the press is not just about the right to say or print anything; it also includes the duty of creating an informed and engaged audience, which is specially crucial in times of peril such as the present. Some journalists and media organizations are trying their best to be as truthful, as accurate, as engaged, and as critical as the ethical and professional standards of journalism demand. But these exceptions are so rare they stand out like oases in a desert of silent acquiescence, because truth-telling and critical analysis are almost certain guarantees that the practitioner will be banned from coverage, harassed, insulted, threatened by online trolls, and even disparaged by those who call themselves journalists but who, out of self-interest, make it their business to defend the regime and assail its critics. 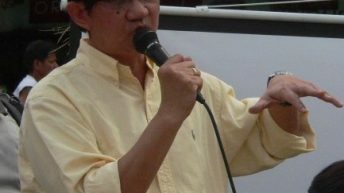 During the Marcos dictatorship, the then president of the University of the Philippines, the diplomat, and author Salvador P. Lopez, said that in the face of injustice, oppression, murder and brutality, it was better to be silenced — to risk suppression or worse by being truthful, relevant, and critical — rather than silent. Filipino journalists need to make the same choice today not only for the sake of defending their freedom, but also that of everyone else’s. The press and media audiences should expect nothing less and should hold them to the fulfillment of that responsibility.